The year is drawing to a close and I want to share some magic tools I have discovered recently. 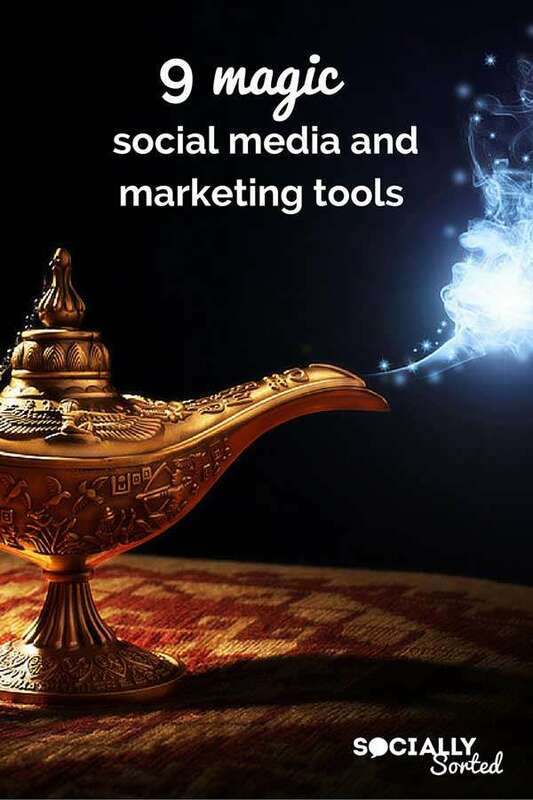 These are social media and marketing tools I will be taking with me into 2016. Now YOU can use them in 2016 and benefit from them too! But first, let’s discuss my criteria for this post. I wanted to share social media and marketing tools I haven’t mentioned much before and that I have only really started to use (or use in smart ways) in the last year. And they have to be magic. What’s my criteria for “magic”? It’s that they have some feature or result that literally transforms your business, either through content creation and sharing, productivity, results, engagement, growth. Or just hands-down saving you a ton of time and resources so that you can focus on the things that matter in your business. These are, without a doubt, tools that I will be taking with me from 2015 to 2016. I’ll explain.. let’s jump in! ImageOptim is a free app that allows you to optimize images so they take up less disk space and load faster. As I write a lot about visual content I needto post a LOT of images on my blog – so this app has been an awesome find. I was already using either Photoshop or Compressor.io to compress my images, but ImageOptim takes it a little further and squeezes more juice out of your images (more heavy kb juice that is). The Magic? You simply drag and drop your image into ImageOptim and it does its thing – no need to resave the image – your image file name is kept the same but the magic has been applied, which is one of the reasons I love it so much. Ok so I have mentioned Ontrapages in one previous post just after I had started playing with it, but I just have to mention it again because… magic. Only released in late 2015, Ontrapages allows you to create beautiful web and landing pages, and gorgeous web forms and pop ups (including exit intent). This landing page I made quickly and easily. You can pick your colours, fonts and backgrounds and change around elements from a drag and drop menu of design blocks or elements. 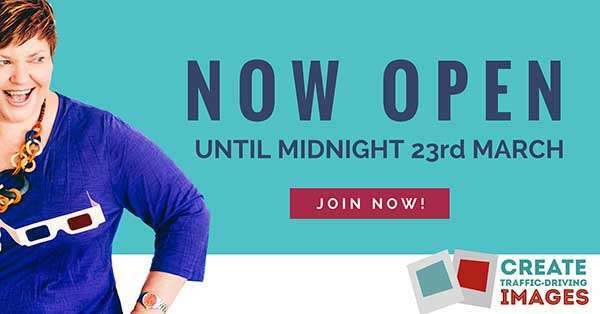 Ontrapages is the creation of Ontraport (my awesome email marketing system) BUT anyone can use it – you don’t need to be an Ontraport member. It’s free for up to 10 Ontrapages and 3 Ontraforms (which are slick webforms and popups). It’s only $15 per month ($99 per year) for extended functionality: no branding, you can use your own domain and you can hook it up with any CRM. I am gradually moving all of my landing pages over to Ontrapages. I highly recommend you check it out as a tool you possibly can’t do without in the next year. The Magic? It feels like fun to use this tool. I liken it to playing with lego – you can add or remove blocks and create whatever you want. Use the templates, create your own … either way, the end result is pretty awesome! Want to train your brain? Tune into this radio station! Oh my goodness. I am loving this tool. If you are like me (I’m a creative type so my brain is always buzzing with ideas… then you will love Brain FM for getting your productivity back. 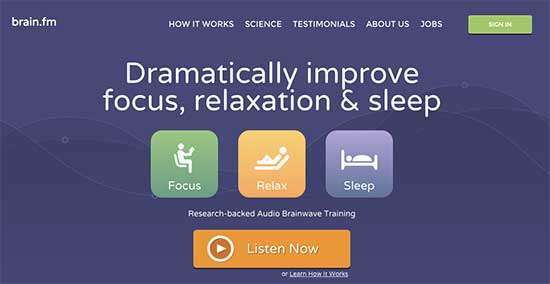 It’s basically a radio station for your brain – using scientifically proven audio brainwave training (backed by 180 studies) and special EEG technology. It works best with headphones on. You can use it for focus (which is what I use it for mainly) relaxation and sleep. The best part is that you get a bunch of free sessions to try it… and then the monthly or annual subscription is super affordable. Do yourself a favour and check it out. The Magic? Many people get results in as little as 30 minutes. My first 30 minute session I smashed through a task that I had been struggling to finish. I’ve been quite productive with every time block I use it for since! See the shout out for our Visual Content Challenge? Easily added with Wisestamp. Yes I did mention Wisestamp here , but I wanted to mention it again for a different reason. I’ve used Wisestamp as my email signature across Gmail account for around a year now. But recently I discovered a way to use it that has been great. You can easily click on the Wisestamp icon in Gmail and edit the signature to show your latest event or promotion. It’s a cool little feature that allows for such a quick edit. Now I can always make sure I have my email updated to show the most important information quickly and easily. The Magic? It’s amazing how many emails we send per day. We often focus so much on our email from tools like Mailchimp, Aweber, Infusionsoft or Ontraport, that we forget that we also send a lot of emails through a tool like Gmail. Wisestamp was a surprise to me in terms of how I was not using it to its full capacity – it’s a magic little marketing tool. If you are using Wistestamp already, revisit your dashboard and add in the feature to promote something! I must admit I was a late starter to Twitter (mainly due to not “getting it” for a year or two). Funnily enough, it’s currently one of the main sites I get traffic and sales from. So I was reasonably happy (being a late starter) to have built my following on Twitter to around 10k quality followers. All organic, and the only tools I used were for scheduling tweets.. no fancy tools, and a lot of engagement. But recently I was chatting to a friend, Ian Cleary from Razor Social about a tool he was using to grow Twitter Followers – Social Quant. – so I decided to test it out too (you can read Ian’s article about it here). My engagement and posting hasn’t changed (I still post a lot of content from my own blog and especially other people I follow. 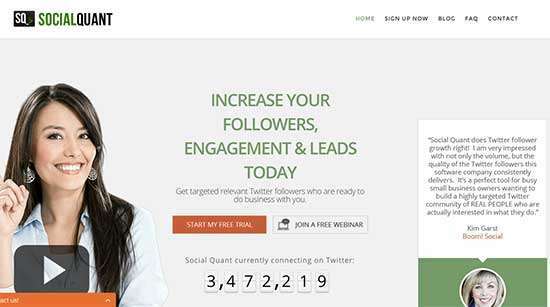 But Social Quant has been a great way to find quality people to follow. Admittedly I was a bit haphazard with my following strategy before now,. I would always follow people that share and tweet great content, but I was not doing it regularly. The result? I love it. Why? I doubled my followers in exactly 3 months. Not from buying followers (that idea is abhorrent to me). I doubled my followers from following the right type of people. Social Quant follows people based on strict categories and criteria. For example, if you want to be following people interested in finance and accounting, those are the people that Social Quant will follow. Personally, I have chosen to follow people interested in visual content, image creation, social media marketing, as well as specific tools like Canva. I have also set Social Quant to follow people that follow influencers I know that my audience would be interested in… and so on. (a) within Twitter’s follow rates based on your current following. (b) quality followers because they are based on targeted keywords. A Tip: As I said, I was following people who engaged with my content (great for growing a quality following, but it does have its limitations!). You will get a few more Auto DMs than usual when you follow more people so be prepared for that – I wish Auto DMs would disappear to another galaxy – but that’s a post for another time. On the upside, it’s a way to find people to engage with if you have time. I definitely still get some great DMs amongst them and find they start some fun conversations on Twitter. LOVE this tool for being able to easily create the most awesome branding image mockups and demo videos. Placeit allows you to take any of your branding images, logos, photos and place them into pre-designed images ranging from technology devices to apparel. You may have heard of Placeit and maybe used it a while back. I would suggest that now is a great time to revisit Placeit and check out their templates. Because a lot has changed, and a lot has been added. The Magic? If you are creating online courses, social media images, webinars, products or basically anything that involves showcasing products and images of your brand, this tool can literally create visual magic and make a small biz look like a big gun. Check it out! 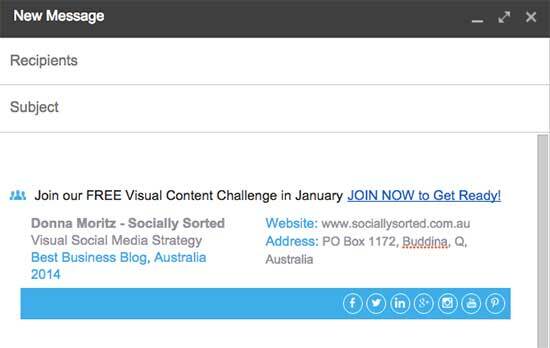 I have used Buzzsumo this past year and I love it. I wrote about it in more detail here. But I wanted to share something cool about Buzzsumo that I discovered recently and it has to do with Twitter (and Google Chrome). The Buzzsumo Chrome Plugin Simply Rocks! You can grab it here. It rocks because of many reasons, but for me the main thing it has brought back to me is my Twitter Shares. You see, Twitter recently removed access to their share numbers for plugins and apps, but Buzzsumo have struck a deal with Twitter to retain that information. So I can simply open the app and see how many shares a post has had on Twitter. I know that there are many other stats we need to look at and shares can be a vanity metric BUT I still want to know what is being shared so I can get feedback. I won’t lie, I wish Twitter would bring back the access, as it’s just strange, but the google chrome plugin is a small way to make it better. The Magic? There are a thousand ways why Buzzsumo is awesome and you should check it out, but the magic to me is the way Buzzsumo acts like a crystal ball for seeing what works online in terms of content. The Google Chrome Plugin just adds to the magic. Reflector App (2) has been awesome for creating magic when doing (a) presentations and (b) video recordings. If you have visited here before, you know that I post a lot about visual content and in particular visual content apps and smartphone tools. Sometimes I want to record how they work in real time, and Reflector allows me to record my iphone by mirroring what I see and do on my iphone to my laptop where I can record it with Screenflow. It’s great for live presentations or for recording how-to videos on my smart phone. It’s live streaming for teaching. The Magic? It’s pretty obvious – this tool allows my subscribers and program members and audience members to literally look over my shoulder as I create content. That to me is magic. Want your time back? Use Rescue Time. Remember that little “productivity” challenge I have on a daily basis? I finally gave in and tried Rescue Time as recommended by a friend (thanks again Ian Cleary… the man’s a genius). Rescue time allows you to understand your daily habits so you can focus and be more productive. It’s a cool tool that ticks along in the background as you do your work – you can use it to monitor and provide feedback OR you can use it to block certain sites you want to stay away from (hello Facebook) so you can get more done). The Magic? For me, it’s the feedback and the blocking capabilities. When you know you are being watched (in a nice way) you get more done. Magic. 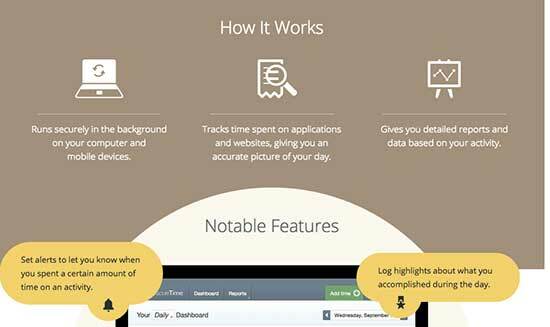 Are you going to take advantage of these magic tools and check them out? Which ones are you using already and which is the one that you can’t wait to try? Let me know in the comments below. 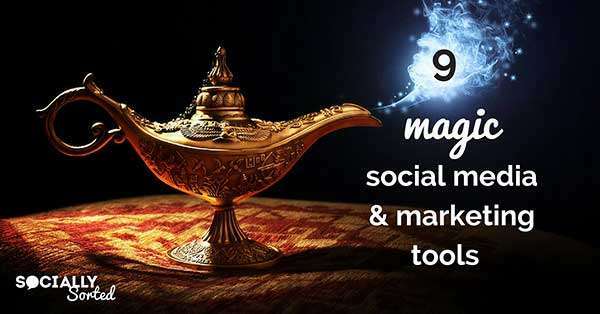 The post 9 Magic Social Media & Marketing Tools to Transform Your 2016 appeared first on Socially Sorted.